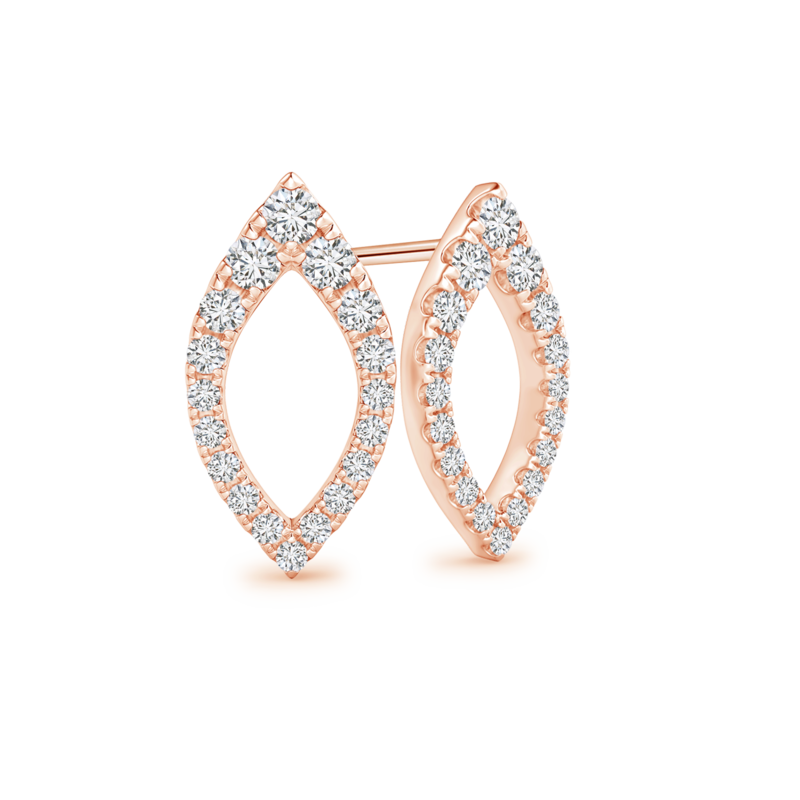 Elegant pieces of jewelry, like this pair of stud earrings, may often look simple but their beauty is truly undeniable. This graceful design showcases an open marquise frame, which is expertly embedded with lab grown diamonds in a graduating fashion. These u-pave set, eco-friendly gems cluster together and radiate a mesmerizing brilliance. The 14k white gold gleaming white gold metal offers the perfect background for this charming piece of jewelry. Simplicity teamed with expert craftsmanship makes these stud earrings a reflection of your refined taste.